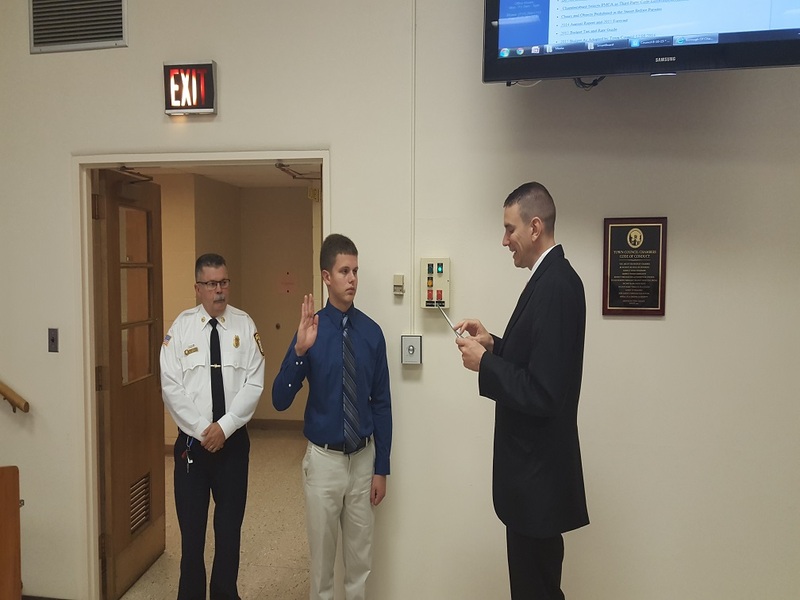 On Monday, August 10, 2015, the Chambersburg Borough Council voted unanimously to appoint Jeremy Whitmore as a Probationary Fire Fighter “A”. His first shift will be Thursday, August 13, 2015. He was sworn in by Mayor Darren Brown during the meeting. Mr. Whitmore is a Borough resident, and is currently a volunteer at the Fayetteville Fire Department where he is a firefighter and an EMT. Jeremy also works as a 911 Dispatcher with Franklin County DES. 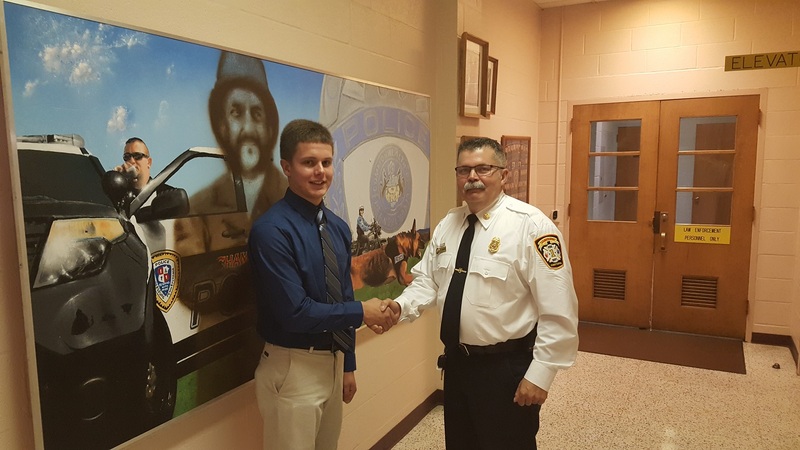 He previously served as an intern at the Chambersburg Fire Department and was well thought of in the department for his work here. He graduated from Chambersburg High School in June of 2014 and already has 33 college credits towards his Associates Degree in Fire Science. Jeremy will report to HACC for 8 weeks of intensive training along with other career firefighters from throughout the state. Congratulations Jeremy and Welcome Aboard!